The happy time has come to launch our web site, at last after plenty of hard work, thinking, planning & commitment to work has end up in good shape. A beautiful well organized,easy way to click web site of our chapter has been launched. Heartly thanks to the team of our colleagues to shape it for endless journey. My all good wishes are to all of you & hope, will use it regularly. At the time of need to solve complicated cases in the field of orthopaedics in day to day practice. Thanks to all of you for the co-operation given to us in this eventful term of presidentship. Indeed it was a necessity in present scenario so that we can interact with our members & can share our views & good work with our colleagues. This will benefit our young orthopods. At the same time we can get opinion of experts in the difficult cases. This step can be of use for the patients who are at a distance in this hilly state – by putting their problems on the website & can get opinion for themselves. Once again heartly congratulations to our State Office Bearers & all members. I express my happiness on the launch of our Official Website on 10th April 2009 at the 5th Annual Conference of UA IOA. I compliment President, Dr. S.K.Gupta and Hon. 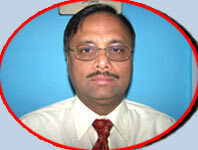 Secretary Dr. R.K.Singhal and thank both for the website. The Orthopaedic Surgeons working in lengths and breadths of our State will find it most useful, as an important interactive tool. The website will serve as a repository of the membership details, clinical data, bye-laws of the association and its activities, events and news. The decision to have our website was taken at the Mid-term Symposium, 2008 held in the month of October at Mahent Indresh Hospital Dehradun. I thank my colleagues Dr. R.B. Kalia and Dr. Saurabh Mehra for helping me in the process and giving useful inputs. 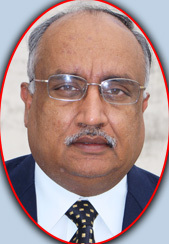 Mr Kamal Garg deserves special thanks for sponsoring the website on behalf of M/s Saviour Drugs. Mr Amanpreet Singh of M/s Infotech Consultants, Dehradun have been engaged to design and maintain the website. Its timely launch is matter of great satisfaction. The website when fully evolved and developed will provide an additional feature of ‘Forum’ wherein our members can report their clinical cases with X-ray images and share valuable experiences with others. I also take this opportunity to congratulate each one of you and seek your active indulgence in making this website a great success in the years to come.